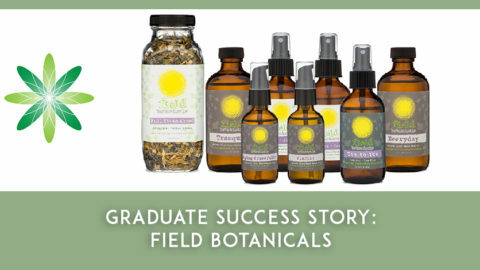 We love sharing stories about Formula Botanica’s students and graduates! We are so proud of everything they do and we strongly support them and their businesses. 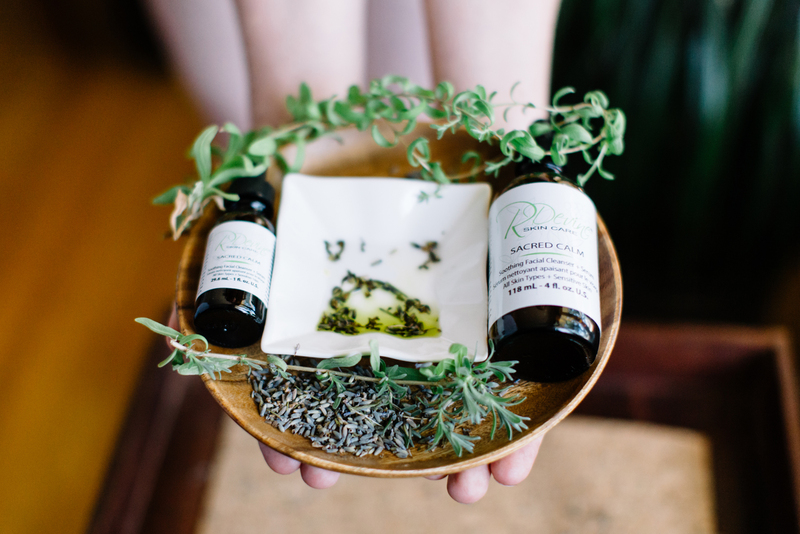 Today we have the privilege of speaking to Rachel Devine, who has just launched R Devine Skin Care – Sustainable, Organic, Luxury Skin Care Hand-Crafted With Love in Canada. Hi Rachel, please tell us a bit about who you are and your background? The beauty industry is my passion. When I first came out of high school, I thought I wanted to be a psychiatrist so I went to university for psych. It just wasn’t for me. From there, I decided to take an Aesthetics course, which seemed like a completely different path at the time. I became a certified Aesthetician in 2003, opened my own spa in 2004 and have won 18 awards for my spa business since then. Skin care has always been my passion within the industry. Facial treatments are my favourite service to perform, and I love helping people treat and improve their skin conditions. Watching the transformation in clients skin, and seeing how it also improves their self-esteem is extremely rewarding. Helping people to overcome these insecurities has really made my psych education become valuable as well. About 4 years ago, I became extremely interested in all-natural and organic living. 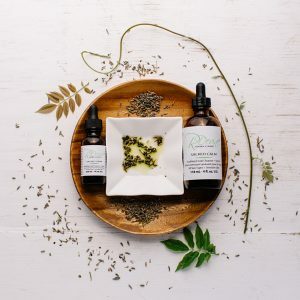 This lead me to the organic beauty industry where I researched for many months, trying to find a skin care line that would perfectly fit into my business. I had difficulty finding one that was right for me, so I decided to create my own line to use in my skin care treatments. When I first started working on the line, I didn’t expect to come as far as I have with it. I’m so happy that it brought me to where I am today. 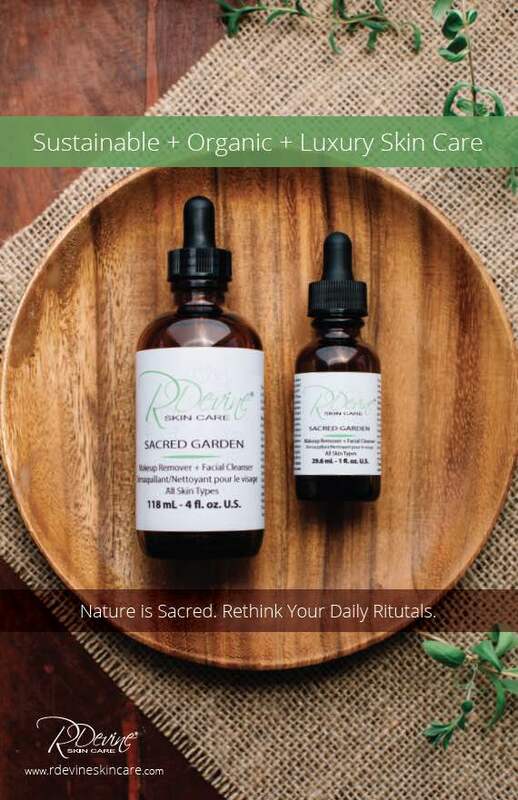 R Devine Skin Care is a sustainable, organic, luxury skin care line that is hand-crafted by myself in Hamilton, Ontario, Canada. Right now, I run and operate the business solely on my own. Wonderfully, since my line launched, it has rapidly grown at a fast rate. It’s only a matter of time before I’ll need help. I really look forward to creating a team to help me pursue this dream. Being an Aesthetician, I feel that I really understand the importance of self-care rituals better than most people. In our fast-paced society, way too many people feel that they are too busy to properly take care of themselves. To me, this is just not right. 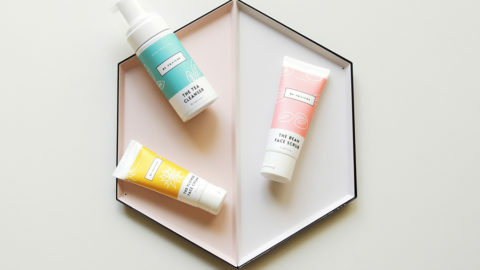 I wanted to create a line that was completely different from most skin care lines, a product line that would attach to peoples emotions (back to that good old psych education), and would have them look forward to using the skin care at the end of each and every day. If I could create this, then people taking care of themselves each day would become a want, a need, and a desire for them, rather than just a daily chore. You named your business after yourself – how have people responded to you creating a name brand? Having won 15 local Reader’s Choice Awards and 3 National Awards, I have managed to make a name for myself in the local beauty industry here. I wanted clients to look at the name of my product line and instantly associate those products with me. Luckily, I married into a really good last name. It often makes me laugh because so many people when I first meet them, and tell them what I do for a living, do not believe that Devine (pronounced divine) is really my last name. I’ve had several people think that I made the name up in order to fit into the industry better. Besides this funny little mix up that sometimes occurs, I’ve had really great feedback on the name of my line. It’s very fitting! What type of skincare products do you sell at R Devine Skin Care and which one is your favourite? Currently my skin care line consists of 11 products, mostly for the face, but I also have a healing balm, body oil and an organic beauty tea. My face products consist of multi-tasking facial products that are spa quality and sold in some local spas and high end organic boutiques. I can honestly say that I don’t have one particular favourite product. I really love my makeup remover, cleansing clay, exfoliator, eye serum and healing balm all pretty equally. The rest of the entire product line run closely behind these products for me. I am also currently working on a bath and body line right now that I plan to launch just before Christmas. My goal is to have a full range spa line. 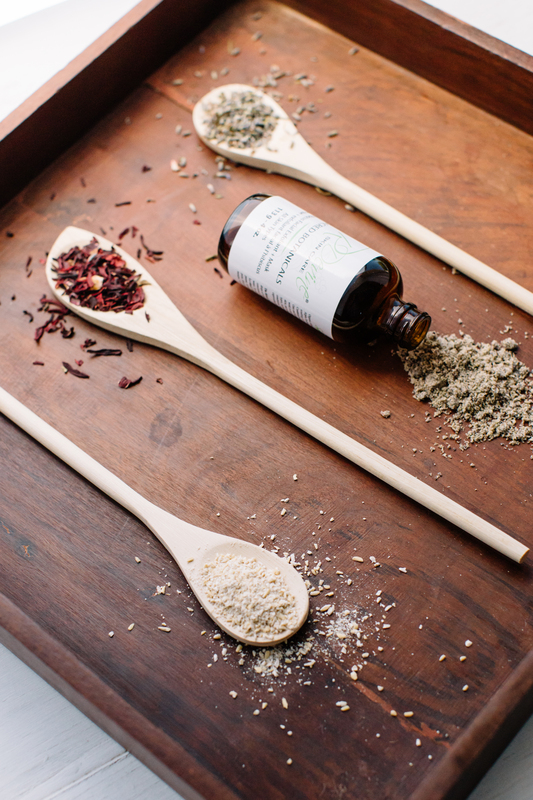 Before signing up for Formula Botanica, I had some really good formulations, but I wasn’t completely confident in myself or my products, especially in terms of stability and shelf-life. 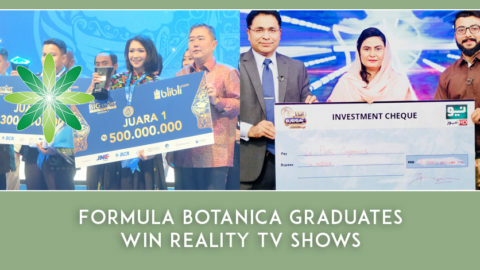 I started researching online and came across Formula Botanica. 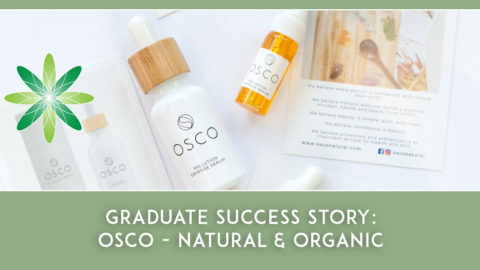 As soon as I saw the courses, I knew the Diploma course for Organic Skincare Formulation would be perfect for me, so I signed up right then and there. I worked on the first part of the course that consisted of Facial products and then took a break for a little bit, while I worked hard to formulate my skin care line. Now that the facial line is launched, I am now finishing up the last part of my course and am using this knowledge to formulate and improve my bath, body and spa line. 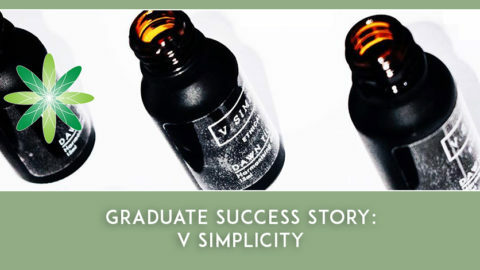 The knowledge that I learned from this course has drastically improved my skin care formulations, turning them into professional quality, luxury skin care products. I am a really creative person and always have been. My level of creativity is endless in this business. I love creating new formulations, new packaging ideas, marketing ideas and have so much fun socializing and interacting with clients on social media. I also really enjoy the flexibility of working for myself. I have two young children and working for myself really enables me to spend so much time with them. I really am blessed. And last but not least, I love that this business has endless potential for me. As long as I continue working as hard as I have been, I’ll be able to go as far as I want with this business. I can’t wait to see where the future takes me. If you were stranded on a desert island and could only take three skincare ingredients with you, which would they be? Oh, that’s a hard one – to only name 3 is really difficult. Hemp Seed Oil for its moisturizing and anti-inflammatory properties. It can be used on the face and body and is great for all skin types and conditions. Raspberry Seed Oil for its naturally occurring suncare properties. And lastly, I’d have to say Lavender. Lavender is not only amazing for the skin, but it also has such a positive effect on the mind. Time management, for sure! Having small kids, I have often found it difficult to perfectly achieve the work/life balance. When I need to make batches of products, I disappear into my studio, but trying to get the rest of the business work done, such as marketing, bookkeeping, etc. with the kids around so often is not always easy. I regularly find myself up late at night trying to get work done while they sleep. This sounds pretty basic, but my advice is to keep working and never give up. 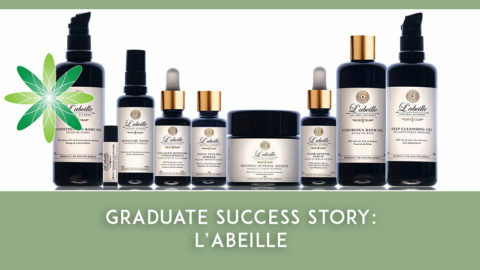 I worked really hard on this skin care line for several, several months. I made some pretty horrible formulations in the beginning. I will never forget a cleanser formulation that I attempted around Christmas time. My skin reacted horribly to it and I ended up with severe acne all over my forehead. I can remember saying to my husband, “This formulation isn’t really working for me!”. I knew he could clearly see that. I can only imagine what he must have been thinking inside his head, but he looked at me and said “Keep trying, you’ll eventually figure it out”. Several times I doubted my ability to complete this line. I thought about giving up more than once. But I had put so much effort into the line that I refused to give up on my goals. I’m so grateful I didn’t allow my doubts to get in the way. If you really want something, it takes hard work. Nothing in this life comes easily, but hard work will always pay off. Thank you so much to Rachel for sharing her journey with us. We couldn’t agree more with Rachel’s final piece of advice – hard work does always pay off. Starting a skincare brand is never easy but if you persevere and keep your focus clear, then you can achieve your dreams. We wish Rachel lots of success with her new business and we are sure that R Devine Skin Care is going places! 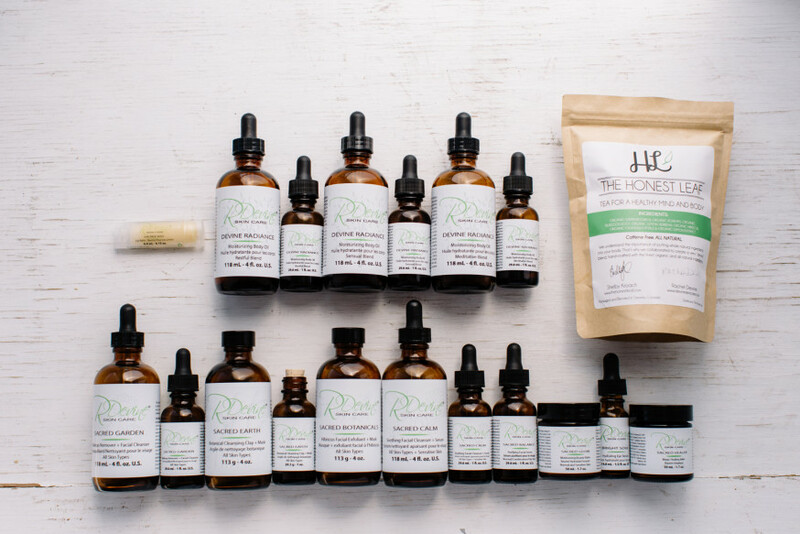 Make sure you visit Rachel’s website to purchase some of her gorgeous products. Thank you for this story. Small children and never giving up is a truly mixed bag. Launching or building a line is like birthing a child there are lots of late nights and sometimes an acne break!